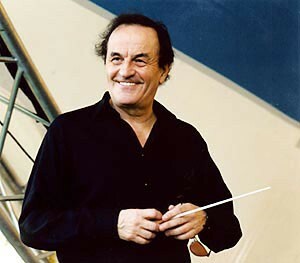 Charles Dutoit will conduct the opening night Tanglewood Gala. The Boston Symphony Orchestra has announced a new conductor lineup for five of the BSO’s 21 concerts to take place during the 2011 Tanglewood season. Charles Dutoit will lead the BSO’s July 8 Opening Night Gala Concert—an all-Italian program with excerpts from Bellini’s Norma and Verdi’s I lombardi, plus music of Rossini and Respighi—and the BSO’s July 9 performance of Berlioz’s Requiem. Making his BSO debut, Finnish conductor John Storgaards, Chief Conductor of the Helsinki Philharmonic Orchestra, will lead the July 16 all-Sibelius program with featuring Nikolaj Znaider in the composer’s Violin Concerto. French conductor Emmanuel Krivine will lead the July 24 all-Ravel program featuring pianist Jean-Yves Thibaudet in both the Piano Concerto in G and Concerto for the Left Hand 24. Hans Graf, Music Director of the Houston Symphony, will conduct Mahler’s Symphony No. 5 on a program with Mozart’s Piano Concerto No. 12 in A, K.414, with soloist Leon Fleisher, on July 29. In addition, the esteemed Spanish conductor Rafael Frühbeck de Burgos—who was already scheduled at Tanglewood to conduct the BSO on August 5 and 12, and the Tanglewood Music Center Orchestra on August 14—and TMC faculty conductor Stefan Asbury will now take the podium for the gala Tanglewood on Parade concert on the evening of August 2, joining the originally scheduled conductors Christoph Eschenbach and John Williams. These programs were originally to be led by James Levine, who on May 6 announced his withdrawal from all of his scheduled Tanglewood appearances on the advice of his doctors. The 2011 Tanglewood season offers a kaleidoscopic array of many of the world’s great musicians performing an impressive range of music from classical to jazz, pop, and rock, with performances virtually each and every day of the summer, June 28-September 4, at the Boston Symphony Orchestra’s acclaimed summer home located in the beautiful Berkshire Hills, between Lenox and Stockbridge, MA.